K-Meleon es un navegador basado en Gecko (el motor de renderizado de Mozilla). Es rápido, tiene un interfaz mínimo, y es plenamente compatible con los estándares. K-Meleon está considerado, como el navegador más rápido y ligero para Windows. Chg: using gecko favicon cache. Chg: improved autocomplete result display. Add: allow function declaration in macros. Add: macro function date(format[, time]). Add: macro function download(url, path[, function]). 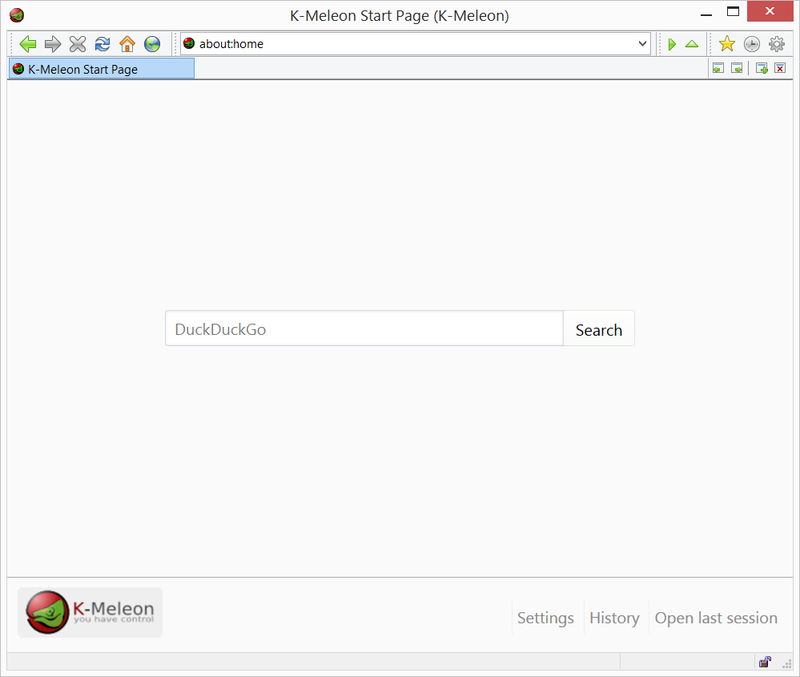 Add: kmeleon.display.urlbar_fontsize (multiplier, default is 1). Add: "copy link text" in context menu. Add: "URLBar" menu to customize the context menu of the url bar. Fix: various minor memory leaks. Fix: losing sessions when disk full. Fix: last session could stop being saved after a while. Fix: video/animation staying still when switching tab.